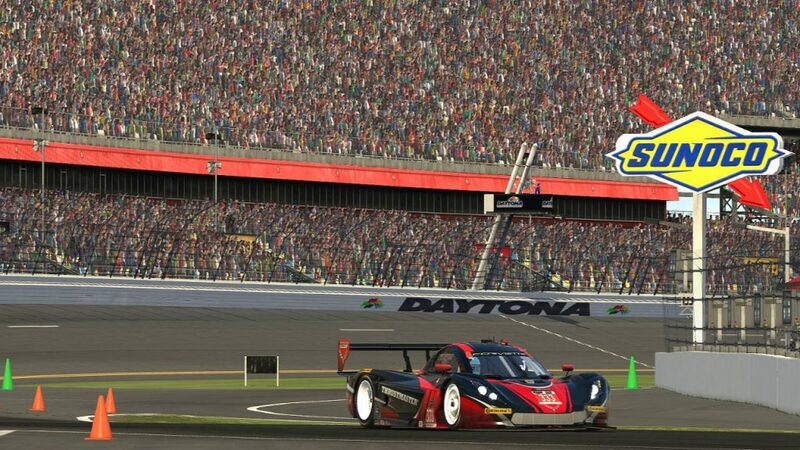 It may have lacked the soggy straightaways and extended red-flag periods of the real-world race, but this year’s Daytona 24 on iRacing was the first to feature the realism of day-night transitions and dynamic weather. 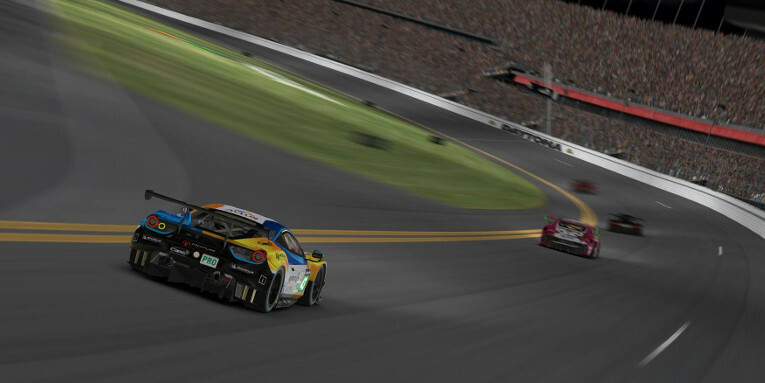 The race two weeks ago fell on an off-weekend for the NEO Endurance Series, so plenty of the series’ teams and drivers took to the Daytona track for the endurance racing classic. In the top split, the familiar purple and white colors of Coanda SimSport, the multiple-time NEO champions, took the prototype class win. Behind them, the battle for second was so tight that Thrustmaster Mivano Racing couldn’t afford to lose even 7 seconds to their challengers from Pure Racing Team by making a driver change, so they left Patrick Schneider in the car for the final five-and-a-half hours. After a team-high 322 laps completed, he secured the runner-up position for the #333 Daytona Prototype. Dion Fiallo, Tommaso Carlà, and Reinaldo Llerena also competed for Mivano. Team Eighty-Four finished in sixth place and Drivex Esports, whose lineup included Salva Talens and Juan Segarra from Euphoria Drivex Racing’s third-place GT team in the last NEO race at Suzuka, placed twelfth at Daytona in the prototype class. The podium in the GT Le Mans class was swept by current NEO teams. 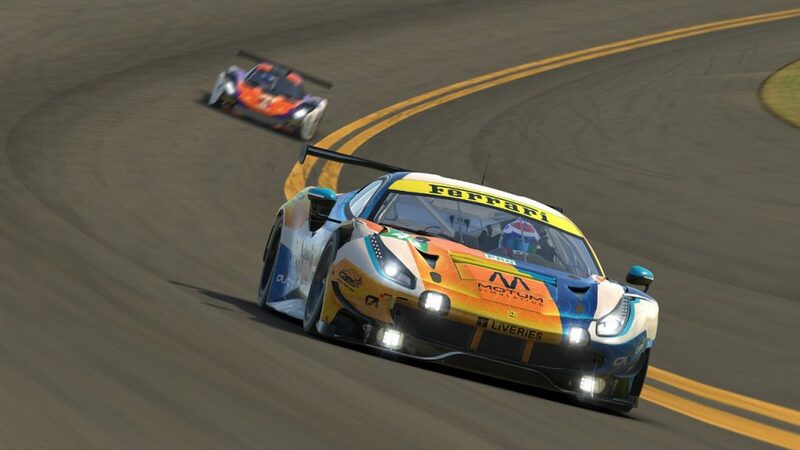 Logitech G Altus Esports eschewed their familiar Porsche 911 for a Ferrari 488, and drivers Simon Feigl, Andrew Kahl, and Yannick Lapchin drove it to the victory. Williams JIM Esports put its Ferraris in second and third place. Further down the order, teams from Race Clutch and Odox Motorsport finished sixth and seventh, respectively, in the GTLM class. The GT Daytona class podium also had an all-NEO — and all-Mercedes — feel to it. Altus doubled up with its second class victory at the hands of Beau Albert, Zachary Hanlin, and Simone Maria Marcenò in the ASTRO Gaming-sponsored #83 car. Team Heusinkveld finished second with a team including current NEO prototype drivers Gunnar Miesen, Michael Schoettler, and Marcel Tie. Team Buschfink Racing’s third-place finishing GTD team also featured some familiar names to NEO observers, with Lewis Goodway, Dan Sosulski, and Fraser Williamson all spending time behind the wheel of the Birdies’ Mercedes. Several NEO teams also competed in the second split, and none found more success than Torque Freak Racing. Its GTLM-class Ferrari driven by David Barraclough, Tim Claessens, Ronny Nunez, and Dirk van Tulden took the lead in the final hour of the race to earn the win. Not to be outdone, their teammates Chris Fuller, Georg Gruber, Bram Reniers, and Antti Salminen dominated the GT Daytona class in the Mercedes to earn a second-split sweep for the veteran NEO team. 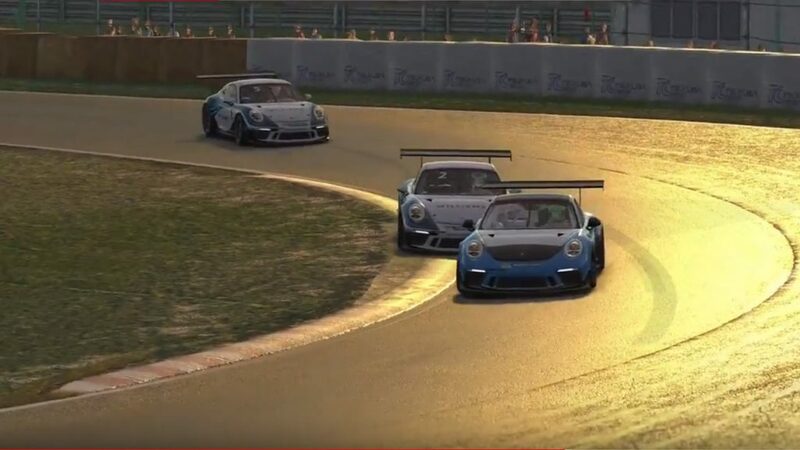 Up next on the iRacing special event calendar is next weekend’s Bathurst 12 Hours, and since it falls on a NEO weekend, teams tackling both races can expect a workout going from corners like the Dipper and Forrest’s Elbow to the likes of Eau Rouge and Pouhon. Several teams pulled double duty during the Daytona weekend as they also competed in the GT Endurance Pro Qualifying Series’ three-hour races at Brands Hatch. With a win in the Sunday afternoon race, Williams Esports Razer’s pairing of Andre Boettcher and Laurin Heinrich held onto the championship lead. MSI eSports, which finished second in that race with Marc Perez and Alejandro Sánchez driving, also sits second in points. A pair of entries for CoRe SimRacing, including their Orange team with NEO driver Kimmo Suominen in the lineup, are third and fourth in points after three of six races. Redface Racing with drivers Bruno Fontalba and Benjamin Gonzalez are sixth in points after earning a top five in the highest strength-of-field race at Brands Hatch. A second Williams team and a third CoRe team are also currently in the top ten in the standings without counting the drop week. The series runs at Twin Ring Motegi this weekend before heading to Interlagos in two weeks and to the Nürburgring on the first weekend of March to wrap up the season. The top 25 teams will earn invitations to this year’s GT World Championship Series. Of course, those aren’t the only world championship slots up for grabs this winter. 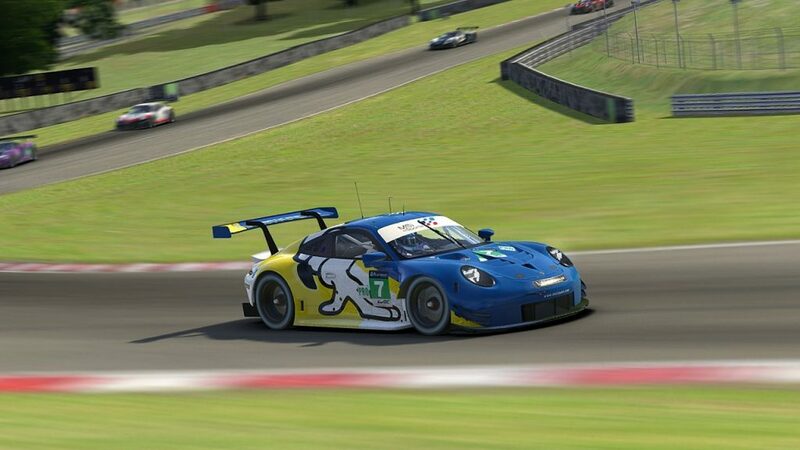 The nine-week qualifications for the Porsche iRacing World Championship Series in the 911 GT3 Cup car are also ongoing. With the fifth week of the season winding down, former NEO competitor Frederik Rasmussen leads the way with 13 wins in 15 starts and a nearly 200-point lead over second-place Jeremy Bouteloup. Rasmussen scored maximum points in weeks 3 and 4 at Motegi and Watkins Glen to take over the championship lead, and he currently has the high points total this week at Imola. The highest-placed current NEO driver is TRITON Racing’s Dawid Nowakowski, who is tenth in points. His teammate Kamil Franczak and MSI’s Sánchez are also currently in the top 20, which puts them in position to qualify for the World Championship Series. The qualifying series schedule continues next week at Bathurst, followed by rounds at Suzuka, Canadian Tire Motorsports Park, and Sebring. 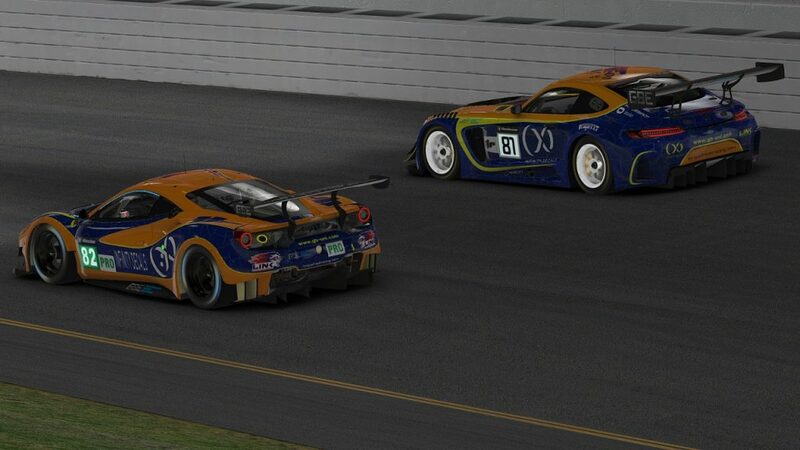 After a hectic holiday season bookended by races, the DGFX Racing League‘s Endurance Series has enjoyed nearly a month off. However, that break ends today as the series returns to action with this afternoon’s running of the 4 Hours of Road Atlanta. 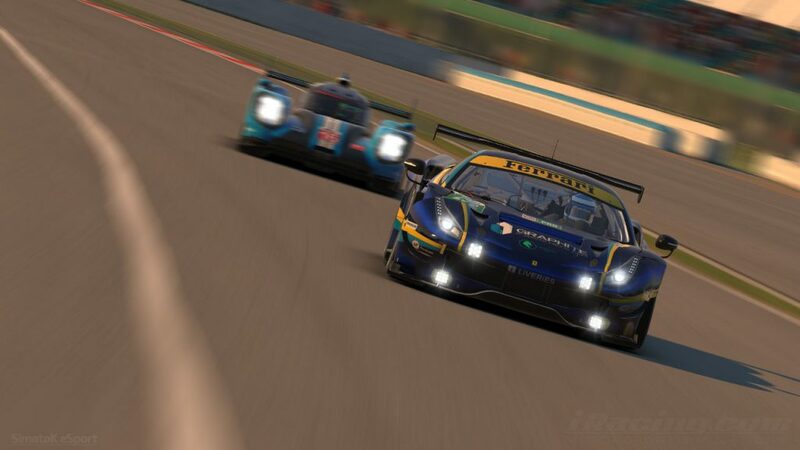 With only two rounds remaining this season, time is running out for teams to climb to the top of their class standings and earn an automatic invitation to next month’s RaceSpot 24 Hours of Le Mans — the NEO Endurance Series finale. In the P1 class, Kinetic Racing currently holds a 14-point lead over GTTempel Racing, who won the most recent race at Monza. SpeedWerx Racing Team has used three consecutive top-five finishes to reach third in points, but they’ll need their first podium and potentially their first win of the season to have a chance at the title. The hottest squad in the DGFX series is Team Heusinkveld, whose back-to-back-to-back wins have moved them into the P2 championship lead. If they hope to earn the team’s second entry at Le Mans, they’ll have to fend off the vApex Racing Group, which is 14 points behind and has runner-up finishes in the most recent rounds at Barber and Monza. Despite a stumble at Monza and a tenth-place finish, Graphite Racing continues to lead the GT Pro class on the strength of two wins so far this season. 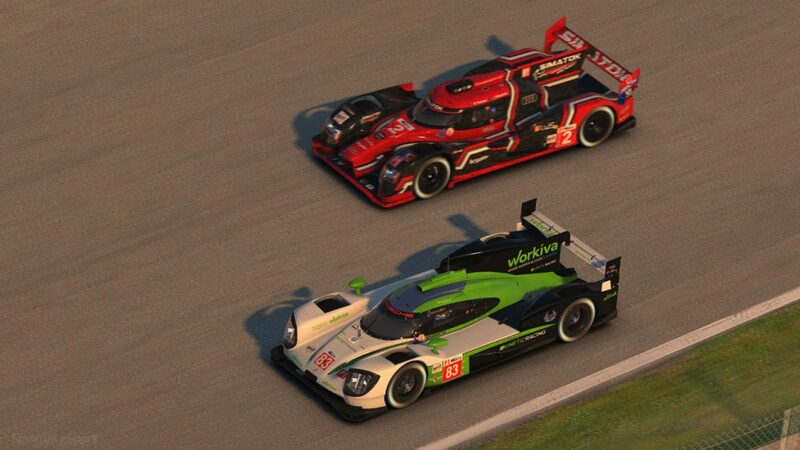 GermanSimRacing and the Luxsim24 Racing Podcast team are both within 30 points of the class leader. With exactly 30 points on offer to the winner at Road Atlanta and 60 available to the winner of next month’s 10 Hours of the Nürburgring, none of the top teams in any class can afford a poor finish if they want to keep their dreams of competing in the first day-to-night NEO race at Le Mans alive. As part of NEO’s new website design, the series’ regulations have been converted to an easy-to-use and searchable online format. It’s a move that not only helps teams and drivers more easily navigate the lengthy rulebook, but one that also helps series organizers keep it updated. Rather than collaborating with fellow admins in a shared document and pushing those changes to a PDF on the website, the new format applies a sharp-looking skin to that back-end content. Along with adding built-in search functionality, the new site combines two sets of rules — the registration and sporting regulations — in a single place. All told, it should help teams and officials spend less time focusing on the rulebook and more on what’s happening on track amid this ultra-competitive NEO season.